Jonathan Bachman’s recent photo of a Black Lives Matter protester in Baton Rouge being arrested, which he took for Reuters, is one of those wire photos destined to become an iconic image. 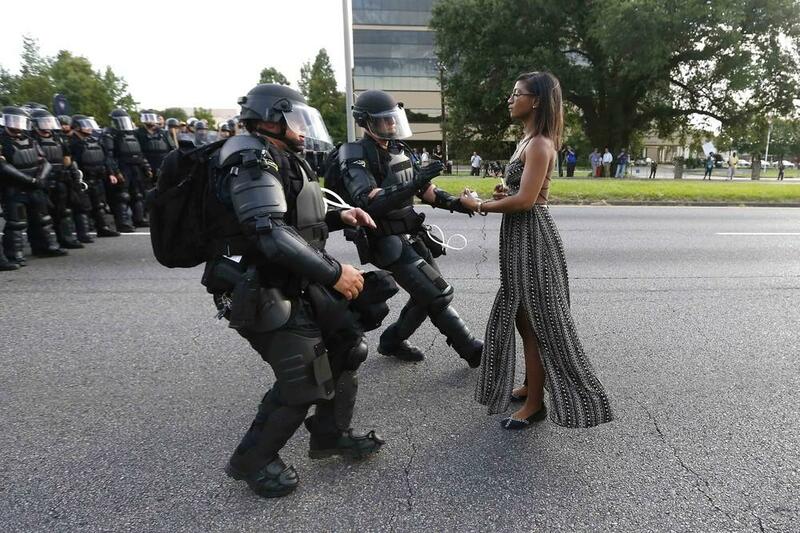 The woman, Ieshia Evans, seems to have a serene power over the police officers taking her into custody, and the lack of any other protesters in the frame give the photo a surreal tinge, as if it’s taken the combined might of the Baton Rouge Police Department to arrest a single black woman. It’s an incredible photo to be sure, but what can make photos seem surreal is because of all the information not included in the frame: The sounds, smells, tension in the air, the weather. We aren’t seeing what happened leading up to and after the shot. Photos are a paradox: their power resides in both what they show and what they leave out.